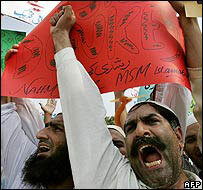 Rage Boy (pictured left) is a serial protester and something of a poster-child for Islamic grievances. Indeed, this is not his first appearance on MWW. He is featured in an article today in Slate, by Christopher Hitchens. 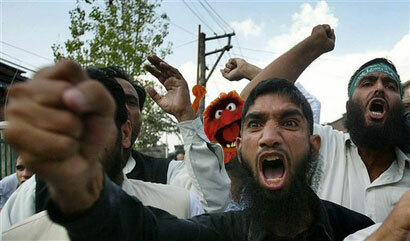 Who knew Animal was a ragin’ Muslim? Brilliant – “RAGE BOY!” The first true Islamic Superhero! Watch! as he flies from protest to protest at incredible speed, powered only by his raw fury! Gasp! 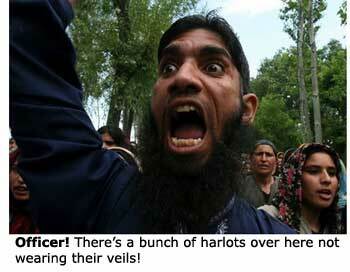 as he howls incoherently at whatever new slight Islam is perceived to have suffered! Marvel! at how his beard stays so bushy and soft despite being struck by several litres of foam-flecked spittle each day! Hear hear. Don’t give him an inch – he’ll lose it in his beard. Darn I wish I was as eloquent as Ms. Benson. About the notion of “not giving an inch”. I am all for the idea of “not giving an inch”, but the problem with that state of mind, in my view, is that it expresses a defensive position. Its an attitude of “we are going to keep the line, and not give an inch”. Such an attitude is, in my view, a small ‘c’, conservative position, to conserve the line as it were – and all too often, a losing strategy. 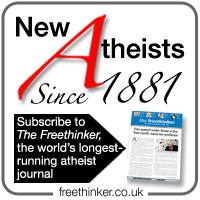 Religiousness, of any variety, has to be attacked by demanding both new freedoms and new processes for greater liberties. The religious attacks are on the freedoms we enjoy, the very fact that these can be attacked and positioned in danger, means we do not have the culture of freedom entretched enough throughout the very fabric of personal, cultural and social life. Well.. My rant for the day..
Remeber what happened to freedom from religious bigots in this country, 1645-1660, or Geneva under Clavin, or 17th cent. Italy, or Persia now … and contemplate the USA after 2016 ….. But it’s an insult to Muppets. 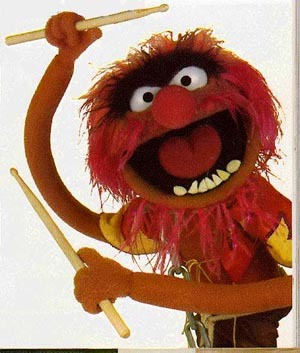 And can Rage Boy play the drums? Come to that, can he waggle his ears? such wide-mouthed displays of anger. Us infedels really should desist from our relentless taunting of those easily offended folks. Oh, and I may add: Nice fillings ! My apologies. 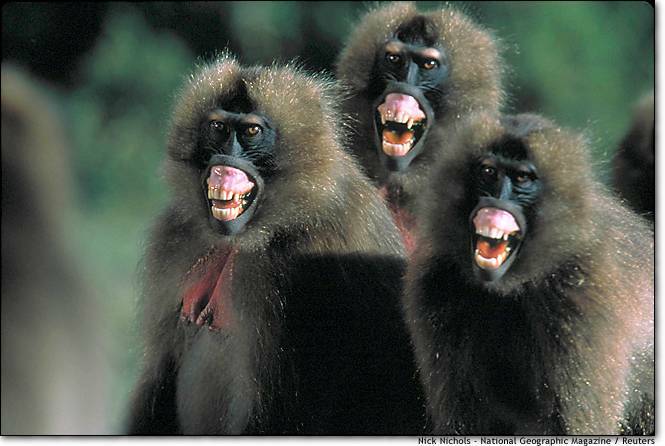 It has just been pointed out to me that the picture I posted of the baboons does not, in fact, depict them in a rage. Apparently they are having a laugh – at pictures of the emotionally incontinent anti-Rushdie wackos, perhaps? He’s back – and he’s pissed off!